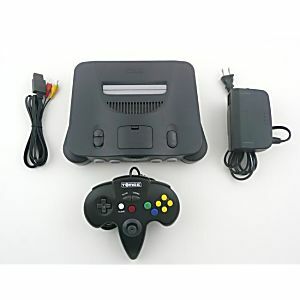 Original Nintendo 64 system in great condition! This system has been cleaned, refurbished and thoroughly tested. It works perfectly and includes a free one year warranty. I love this console! Came in good condition and worked perfectly. The controller was a Knock off and the joystick didn’t work but that might be because it’s new. Other than that very pleased. My son who’s 11 and got pretty much all the latest gadgets around these days, is surprisingly interested in Nintendo’s 80s/90s gaming system. He’s got most of them, including a Game & Watch that I was lucky to purchase from a trip abroad. This N64 is a great addition to his collection. Lukie hasn’t failed me so far. The console works great and so does the brand new 3rd party controller that came with it. The console is clean and hardly any wear visible. Happy with the purchase. Got this for my husband for Christmas. We had some trouble getting it going to first, but with just a simple email explaining our problem, we got a new part shipped out to us at no cost and no questions asked. Will definitely recommend ordering from Lukie Games. Thx lukie for sending a great system that made for a fun, memorable xmas night. 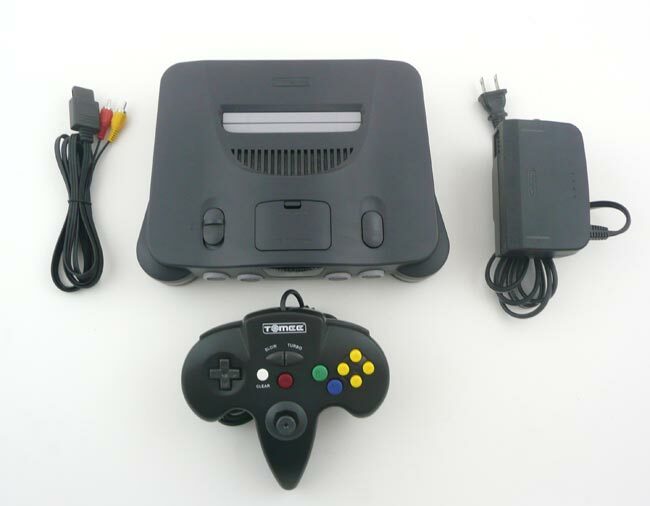 Your n64 system works great! This was exactly what I was looking for! I ordered elsewhere and it didn’t work. I knew I should’ve started here to begin with. This works even better than the system I’ve had since I was a kid. Everything was perfect! Love Lukie Games! Bought this console for my bf. He was beyond excited to receive it, as we searched everywhere for one in our city. Overall, I am satisfied with my purchase. Only downfall was the control. It sticks and seems to run slower than one I purchased elsewhere. The product was thoroughly cleaned, including the inside of the game slot. You couldn't tell it was used. And it worked great first time I turned it on. All accessories were functional too. Their games are just as clean and work perfectly. I would say Lukie Games is the best N64 suppler on the web (probably is true of other systems as well). I've tried others, but will keep coming back to Lukie. The console came with everything I needed and worked great. Great product! Brings so much nostalgia! Works perfectly and was very nice and clean. Basically brand new! I’m very happy with this!! order mine on 10/17/2018 got it today and everything works great will order again form this site.